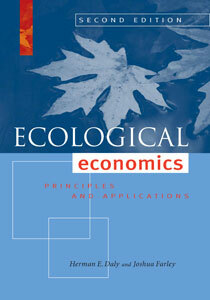 In its first edition, this book helped to define the emerging field of ecological economics. This new edition surveys the field today. It incorporates all of the latest research findings and grounds economic inquiry in a more robust understanding of human needs and behavior. Humans and ecological systems, it argues, are inextricably bound together in complex and long-misunderstood ways. According to ecological economists, conventional economics does not reflect adequately the value of essential factors like clean air and water, species diversity, and social and generational equity. By excluding biophysical and social systems from their analyses, many conventional economists have overlooked problems of the increasing scale of human impacts and the inequitable distribution of resources. This introductory-level textbook is designed specifically to address this significant flaw in economic thought. The book describes a relatively new “transdiscipline” that incorporates insights from the biological, physical, and social sciences. It provides students with a foundation in traditional neoclassical economic thought, but places that foundation within an interdisciplinary framework that embraces the linkages among economic growth, environmental degradation, and social inequity. In doing so, it presents a revolutionary way of viewing the world. The second edition of Ecological Economics provides a clear, readable, and easy-to-understand overview of a field of study that continues to grow in importance. It remains the only stand-alone textbook that offers a complete explanation of theory and practice in the discipline. "As ecological economics builds upon neoclassical economics, however, this single volume treatment of the relatively new field by Daley (emeritus, U. of Maryland) and Farley (U. of Vermont) goes beyond merely critiquing neoclassical models and instead incorporates them into the main body of the text, thus providing an introduction to many of the main concepts and issues found in standard texts on macroeconomics and microeconomics while also addressing the disciplinary and policy implications of the natural limits to growth." Chapter 1. Why Study Economics?